The Great Singapore Sale is here again! 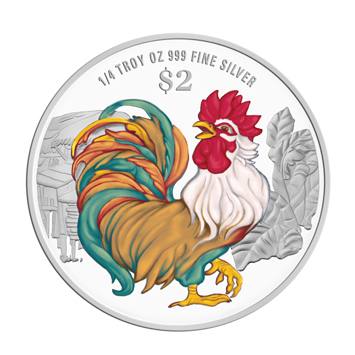 Check out the best Great Singapore Sale deals with The Singapore Mint as we offer storewide discounts of up to 70% off and many other exciting promotions from 1st June to 23rd July 2017. Mix and match, and save more when you purchase more! 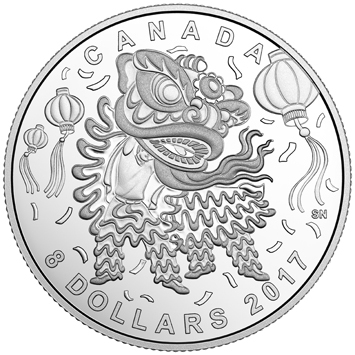 Get a Canada Lion Dance Fine Silver Coin (worth $50) at ONLY $38 when you purchase a 2017 Singapore Lunar Rooster 1/4oz 999 Fine Silver Proof-like Colour Coin! FREE travel adapter (worth S$79) with a min. spending of S$300 in a single transaction. Travel with convenience around the world with The Singapore Mint Travel Adapter which comes with 2 USB ports! Enter promo code ‘GSS150’ to enjoy FREE local delivery with online orders of $150 and above! Members of the Singapore Mint, hurry down to the retail shops from 2nd to 4th June to enjoy EXCLUSIVE PROMOTIONS just for our members! FREE* S$10 gift voucher for each S$100 spent in a single transaction. FREE* 7L mini fridge (worth S$129) with a minimum spending of S$300 in a single transaction. Great Singapore Sale discounts, offers and promotions are only valid from 1 June to 23 July 2017. Gift with Purchase - Each customer is entitled up to a maximum of 1 travel adapter per transaction. Members' Exclusive - Promotions are only available at all The Singapore Mint retail shops from 2 to 4 June 2017. Members' Exclusive - Each member is entitled to a maximum of 5 free gift vouchers OR a 7L mini fridge per day. Discounts and promotions may differ between online store and our retail shops. All free gift promotions are not valid in conjunction with other free gift promotions. All items, including free gifts and promotional items, are on a while stocks last basis.